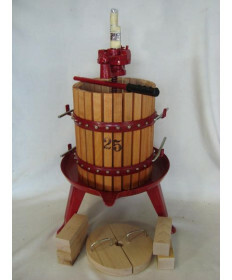 A well built fruit crusher and wine press is a must have for any serious winemaking enthusiast.  Especially those making wine from fresh grapes or fresh fruit. 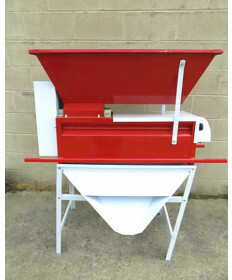 The right crusher can help you make short work of grapes, crushing hundreds of pounds and removing the stems quickly and effeciently. 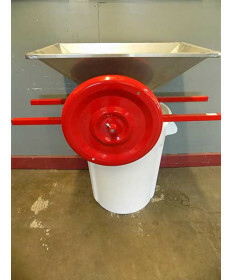 For small batches of grape or fruit wine (less than 5 US gallons), we recommend a small crusher such as the Vintage Shop Fruit Crusher. 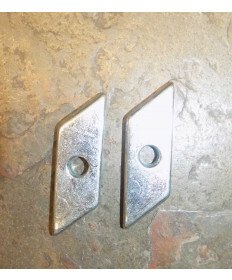 It does not remove stems but is perfect for crushing small fruit or grape wine batches. 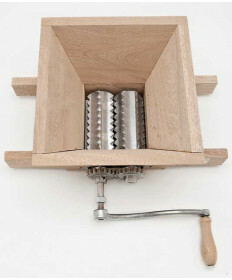 A small tabletop press such as the Marchisio Table Press will make short work of pressing grapes and fruit.